Delhi, the National Capital of India, is a mega city that contains a goldmine of history, culture, art, action, and food! There’s rarely a dull or quiet moment when you’re in Delhi! But if you’re coming to Delhi for the first time, you’re likely a little nervous. 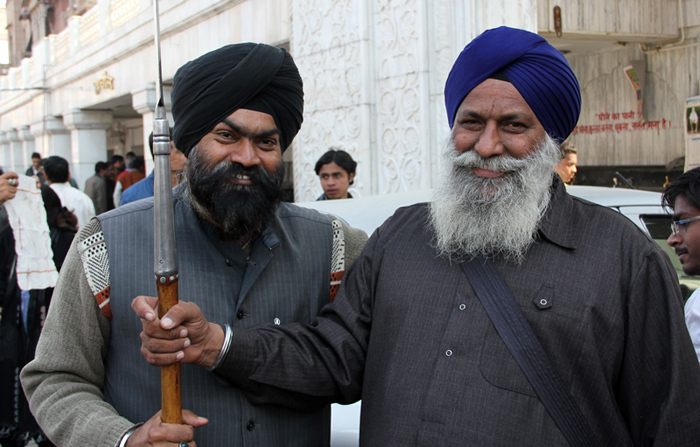 I was personally overwhelmed when I first arrived in Delhi. Delhi is such a vast city and there are so many different areas of town that each offer a diversity of attractions and interesting sights. So after arriving, I began to explore the city, mostly by taking local transportation, and visiting A LOT of attractions, eating at countless restaurants, and digesting as much information about Delhi as I possibly could. From the ancient congested alleys of Chandni Chowk Market, to the mind blowing Akshardham Temple (it literally made my jaw drop), you’re going to have an experience in Delhi that you’ll never forget. In Delhi, you’re likely to see as many impressive sights, make as many memories, and have as many unique (and unbelievable) experiences in just a single day than in an entire week in another location (I’m serious)! Compressed into this 75-page guide are my thoughts, notes, tips, and useful suggestions about arriving in Delhi, what to do, how to get around, where to stay, and what to eat. 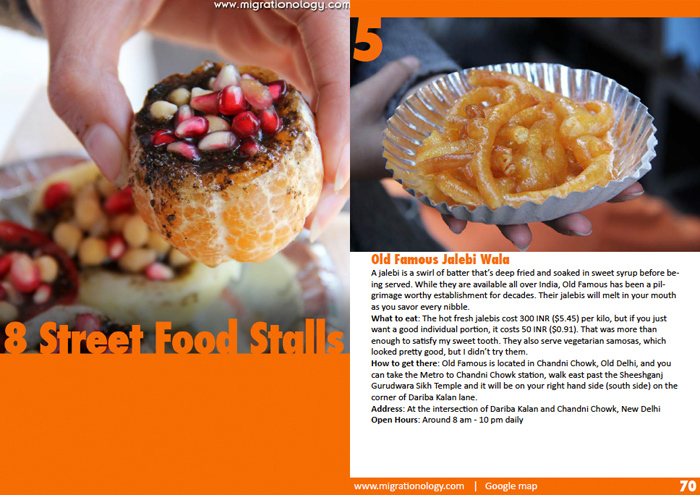 Are you ready to take advantage of all this information about Delhi all packed into this easy to read guide? This guide is for anyone who’s interested in Delhi, India. While it mostly covers practical information like where to stay, what to do, and where to eat, it’s also packed with plenty of photos and stories from my stay. So this Delhi Travel Guide is not only for those planning to visit Delhi, but for anyone who wants to learn more about India! 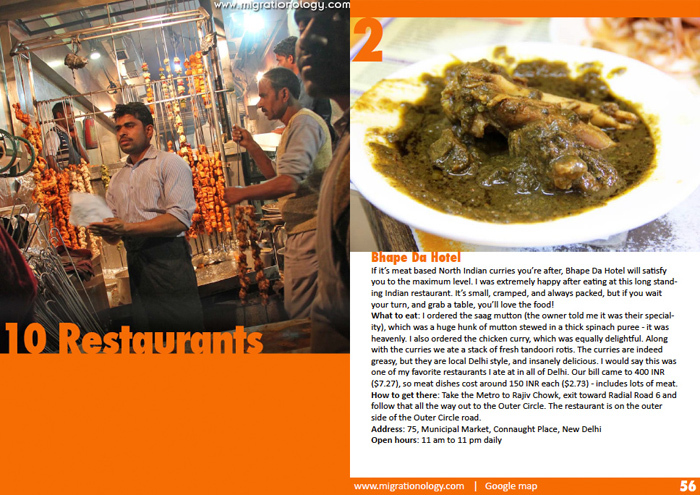 Everything mentioned in this Delhi travel guide is plotted and neatly organized on a Google map – so it’s easy to navigate to an attraction or a restaurant (you’re going to really like the map)! Here are some actual screen shots so you can see exactly what’s inside. India is a country I had dreamed about visiting for many years, and finally at the end of 2012, I had the opportunity to catch a flight from Bangkok to Kolkata and begin one of the most exciting journeys I’ve ever had. Accompanied by my soon-to-be-wife, we traveled through North India until reaching Delhi where we stopped for a few weeks in order to explore the city and discover as many things as we could. Throughout our stay in Delhi, we visited many major attractions, took local transportation all over the place, and stuffed our stomachs full of curry and fresh tandoori roti multiple times a day. I’m excited to share everything in this guide with you! It is a digital guide in PDF format. This means that as soon as you press the big orange “Buy It Now” button, you’ll be able to download the guide and have instant access to all 75 pages on your computer. And… it only takes seconds! 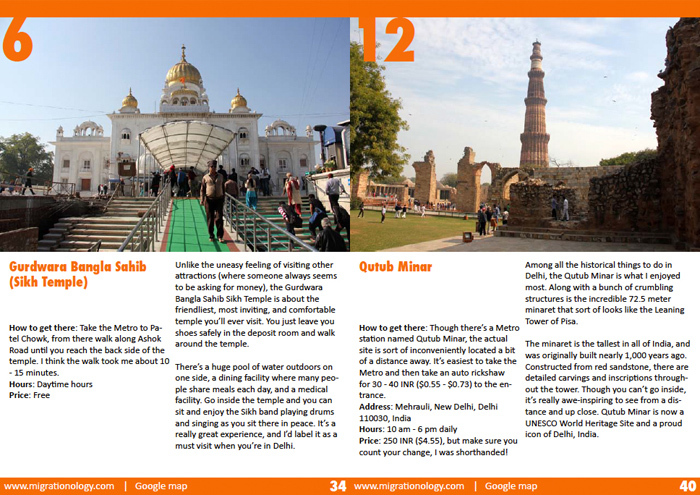 Because I want you to be able to use all the information in this Delhi travel guide, I’m selling it for just $3.99. 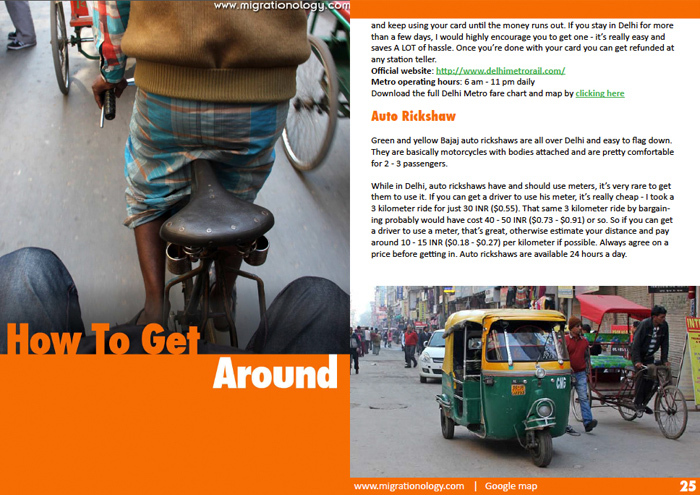 Yup, you’ll get 75 pages of insanely useful Delhi information for only $3.99, and lots of photos too! I give you my personal risk-free guarantee. If you’re not happy with your purchase, just let me know, and I’ll give you a full refund with no questions asked.